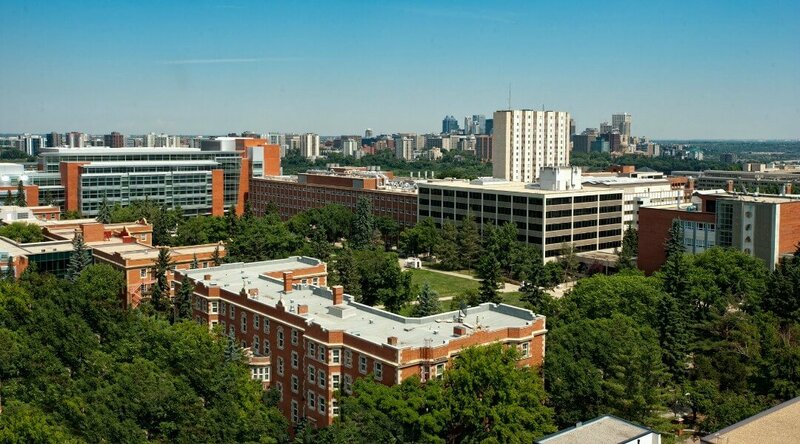 Founded in 1908, University of Alberta is a non-profit public higher education institution located in the the urban setting of the medium-sized city of Edmonton (population range of 500,000-1,000,000 inhabitants), Alberta. This institution has also branch campuses in the following location(s): Camrose. Officially accredited/recognized by the Alberta Advanced Education, University of Alberta (UofA) is a very large (enrollment range: 35,000-39,999 students) coeducational higher education institution. University of Alberta (UofA) offers courses and programs leading to officialy recognized higher education degrees such as bachelor degrees, master degrees, doctorate degrees in several areas of study. This 109 years old H.E. institution has a selective admission policy based on students’ past academic record and grades. International students are welcome to apply for enrollment. UofA also provides several academic and non-academic facilities and services to students including a library, housing, sport facilities and/or activities, financial aids and/or scholarships, study abroad and exchange programs, as well as administrative services. Important: admission policy and acceptance rate may vary by area of studies, course level, student nationality or residence and other criteria. Please contact the appropriate University of Alberta‘s Admission Office for detailed information on a specific admission selection policy and acceptance rate; the above University admission information is indicative only and may not be complete or up-to-date. Important: this section is intended to include only those reputable organizations (e.g. Ministries of Higher Education) that have the legal authority to officially recognize, accredit and/or license the University of Alberta as a whole (institutional accreditation or recognition) or some of its specific courses/programs (programmatic accreditation). Memberships and affiliations to organizations which do not imply any formal, extensive and/or legal process of accreditation or recognition are included in a specific section below. Please report errors and inaccuracies taking into consideration the above criteria. Next articleDrunk as the Company You Keep?